To think that only 30-40 years ago, car seats were not only not obligatory, but used as a device to simply help children be able to see properly out the windows certainly boggles the mind. My own stories from my mother about my car seats involve simply putting a seatbelt around the capsule, or a little brown hard foam type seat I would sit on with a seatbelt around me. When I look at the car seats available now and see the age limits (until 7-8 years old! ), I can’t imagine actually driving my school age children around in them, simply because it wasn’t that way for me (and this was in the last 30 years). In fact, it wasn’t until 1962 when the first infant car seat was designed by Briton Jean Ames - rear facing and with the Y shaped straps you’ll recognise today. The first forward facing car seat was designed around the same time in America. Today there are many types of car seats, and children progress to the next one based on their height and weight, with age used only as a general guide. Between 1998-2006, tests were conducted and collated from car crashes in America, which showed two things - that the middle seat in the back was the safest position for a childs car seats to be in if the car was to be in accident, and that the middle seat is also the least used position by parents. And while the original car seats were made of nothing more than hessian, or some vinyl stretch over metal, the car seats of today are constantly evolving with the main and only concern being safety. While safety standards all over the world will vary, the manufacturing of car seats is very similar. When car seats started to be designed and sold in Australia in the 1960’s, there was very little information and research done and available to the public, so they were not fully embraced. It took around another 10 years for people to start taking a closer look at child and infant safety in the car, but I’m sure if you’re a child of the 80’s you’ll have vivid memories of being free in the back seat or even tray of a ute and certainly not restrained how we do to our own children today! The rear facing car seats is designed for babies from birth and they can stay this way until they outgrow it, which can be anywhere up to about the age of two. It is law in Australia than children under the age of 6 months must be rear facing - and in a child restraint which clearly shows the Australian Standard sticker on it. Many parents will turn their child before the age of 2, but there has been discussion for sometime now about making this the legal age a child has to rear face for, and this is due to many crash tests which shows that children’s safety and stability is much better if they are facing the back of the car. A rear facing car seat can now either be a capsule, or a seat which will turn forward as well. seat is available, and legal. These days, transporting children has never been easier. From capsules that click directly into a base in the car to avoid waking or unsettling a sleeping newborn, to the crazy all in one prams that basically click in and out of the car and grow like a transformer - last week I even saw a pram that held eight children! On planes children under 2 can either sit on your knee or lay in a bassinet, and over the age of 2 can sit in their own seat. You can actually take your car seat onto a plane which is ideal for parents who are uneasy about safety in the air, but do make sure you’ve properly checked and spoken to your airline before taking it all the way to the airport. Aside from being not restrained at all, the main concern of current transportation of children is the incorrect installation of child restraints. In fact a study in 2006 showed that 7 out of 10 children who were died in a vehicle accident were not properly restrained. Most child and baby shops where you purchase your seat from actually offer installation (at a cost) and there are some companies who’s job is simply just to do this. It is so imperative for the booster seat, car seat or capsule to be properly fitted because otherwise it becomes quite futile. Ironically if you’re traveling in a taxi, there are no legal obligations to be in a car seat. Children under the age of 1 must be sitting in the back seat, and children over the age of 1 can actually sit by themselves (but with a seatbelt). You can of course take your own car seat and install in in the vehicle for your journey, as law dictates that each taxi must have the correct anchorage for a seat to be hooked onto. 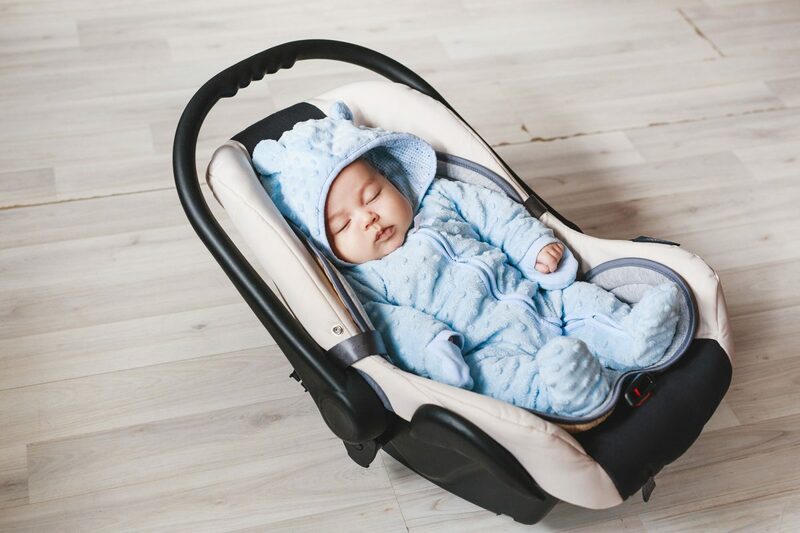 All car seats must be fitted with a 5 point harness (and you’d be hard pressed to find out with the old 3 point harness), and things like extra padding around the head and air protect are becoming more common and sought after among parents. This is definitely a step up from the original seats which were still used as little as 30 years ago! Seat belts were not standard equipment in a car until sometime in the 1960’s, so we have certainly come a long way! Make sure you do your research on the best car seat for your family, and always remember - you don’t need to settle for second best, don’t buy a car seat second hand if it has been in an accident (and in turn, if you’re in an accident immediately replace the carseat and do not use it again), and always keep your child properly restrained according to their height and age!